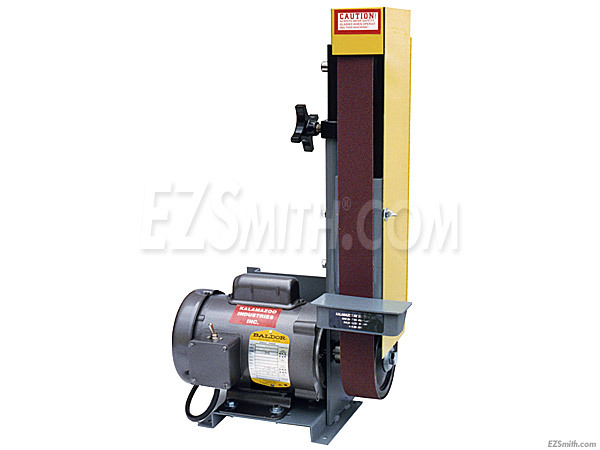 The Kalamazoo 2FSM 2 x 48 inch sander/grinder is the perfect choice for pro level kit building. While it is larger than the 1SM it still conserves valuable shop space with a small bench footprint while performing all the vital tasks of professional knife finishing necessary for clean knife making results. The 2FSM operates in the vertical or horizontal position and has a full hinged OSHA safety guard to allow for quick belt changes. For high level finishing work or all-around kit construction tasks, this is the perfect choice!